The Messtetics, from left, are Brendan Canty, Anthony Pirog, and Joe Lally. But the Messthetics is a different band with a different sound. Where Fugazi was fronted by two vocalists who also played guitar, drummer Brendan Canty and bassist Joe Lally now play alongside guitarist Anthony Pirog. 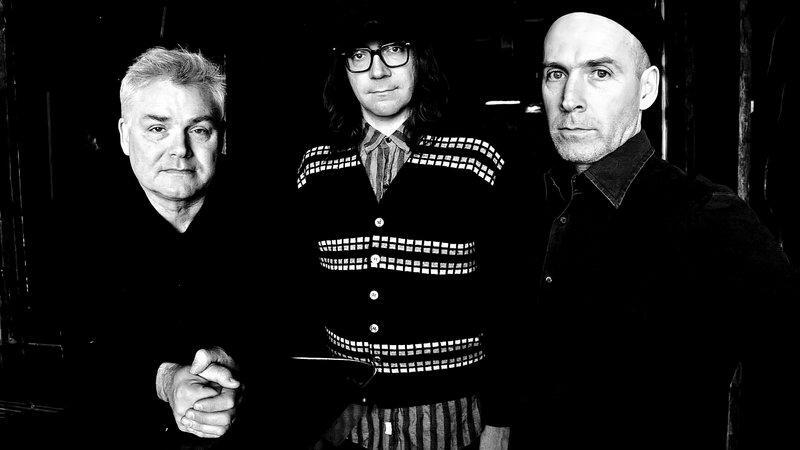 Though they have stayed in touch since Fugazi went on hiatus in 2003, and members have admitted to occasionally jamming with each other when back home in D.C., the Messthetics is the first project together for Canty and Lally since the hiatus. Canty said the chemistry is still amazing. “When he moved back, we started playing together almost immediately here and there, mostly on his stuff, which is a little quieter. And then I listened to some of the stuff he brought back from Italy,” said Canty. That spurred him to introduce Lally to experimental guitarist Pirog, who Canty had been keeping an eye on. Canty calls Pirog a bit of a genius. He said the writing process is a lot quicker in the Messthetics. “We can talk about it on the way to a show and try it out that night. We can also write headers and more vague ideas and just throw them out there live,” said Canty. The improvisational nature of the writing process means the music gets from pen (or brain) to stage much quicker than with Fugazi. It’s a sound that IS different from his previous band, but the musical intensity and musicianship remain. Fugazi fans are intrigued, and thrilled they once again get to see at least half of the quartet that influenced Nirvana, Bad Religion, and the Red Hot Chili Peppers, as well as hundreds of other lesser known groups and those that never made it out of their garage. Fugazi was even the inspiration for two music-based businesses in Bloomington-Normal that sport the name of Fugazi songs. Waiting Room Records owner Jared Alcorn took his store's name from the lead song on the band’s debut album. 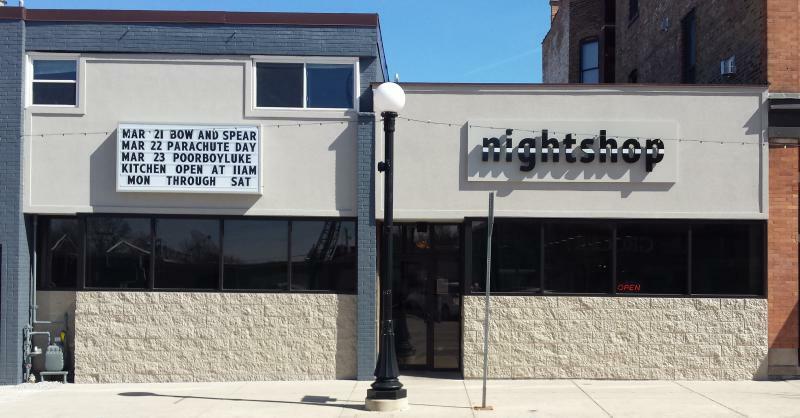 And Nightshop, the venue hosting the Messthetics on May 7 , took its name from a song on Fugazi’s “The Argument” album. Canty was hesitant to accept the praise. Somewhat grudgingly, he conceded Fugazi was finding an audience. “People were showing up and we were selling 250,000 records a pop, but we were also together 15 years. Yes we’d play three nights in New York City, but then we’d also play in Hoboken for 200 people or in Hattiesburg, Mississippi,” said Canty. He acknowledged Fugazi is appreciated for those reasons, as well as its history of low ticket prices and uncompromising approach to the music. The Messthetics play Nightshop in downtown Bloomington on Monday, May 7. 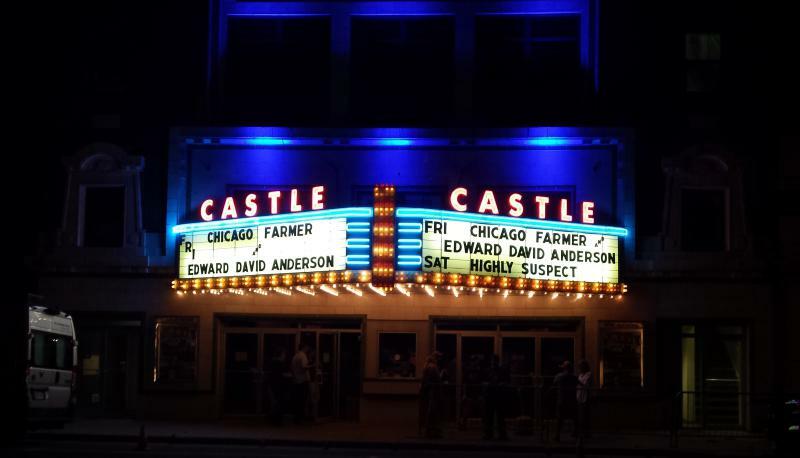 Opening bands include The Poison Arrows from Chicago, Bloomington's Disorganizer, and Normal-based Hungu. Listen to an excerpt of GLT's interview with former Fugazi (now Messthetics) drummer Brendan Canty. Listen to the entire interview between former Fugazi (and now) Messthetics drummer Brendan Canty and GLT's Jon Norton.